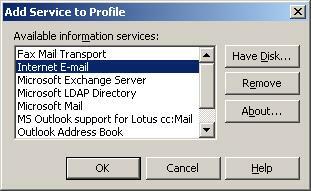 Click on the "Tools" menu, then click on "Services..."
Click on "Internet E-mail", then click on the "OK" button. 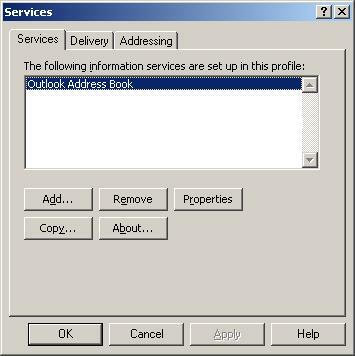 For "Type the name by which you would like to refer to these servers", type your e-mail address. For "Name", type your first and last name. For "E-mail address", type your e-mail address. 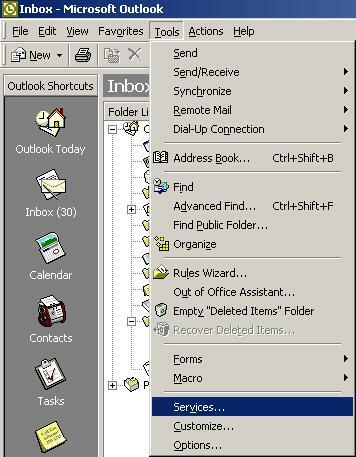 When you have entered that information, click on the "Servers" tab. 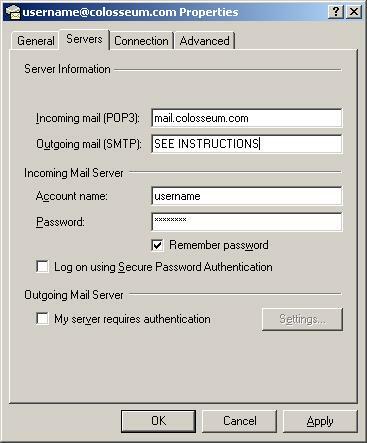 In the "Incoming mail (POP3)" box, type "mail.colosseum.com". 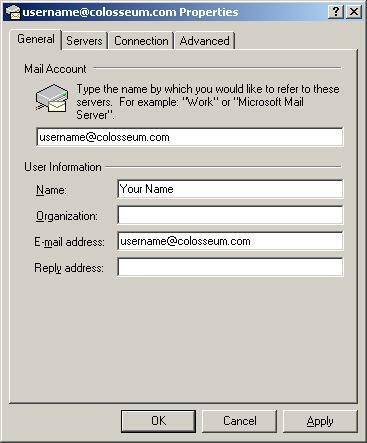 In the "Outgoing mail (SMTP)" box, type "roam.colosseum.com" if you are using dial-up, or "cmail.colosseum.com" if you are using DSL. In the "Password" box, type your e-mail password. DO NOT check "Log on using Secure Password Authentication. This will not work. DO NOT check "My server requires authentication". A message will pop up. Click on the "OK" button. You are now back at "Services". Click on the "OK" button.